Legendary British heritage wallpaper brand de Gournay is everywhere these days — and not just on the walls of the world’s most fashionable manors and manses. The masterfully hand-painted Chinoiserie wallpaper designs are now gracing charming Italian footwear. 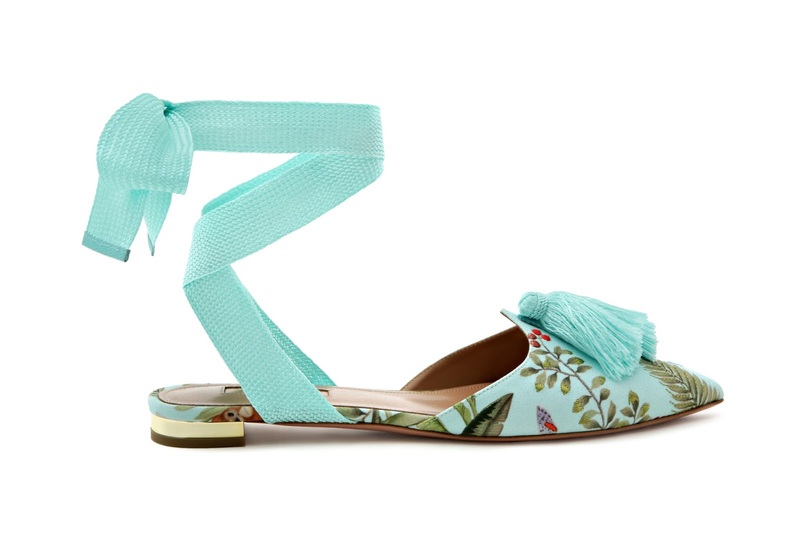 Edgardo Osorio, co-founder and designer of the footwear label Aquazzura, collaborated with de Gournay last year on a collection of embroidered flats, slides, pumps, mules, and loafers. 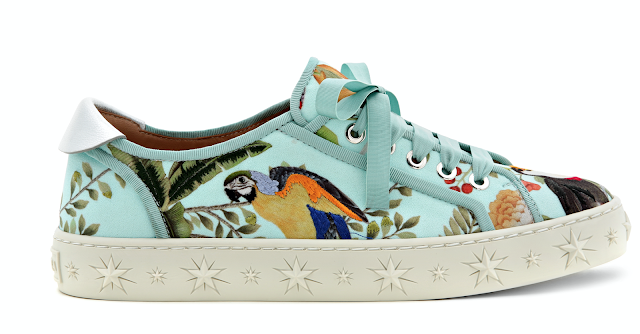 Now, just out for spring 2018, Osorio and de Gournay have introduced a new blue color way along with a smart tennis shoe and adorable mini-shoes for children (see below!) 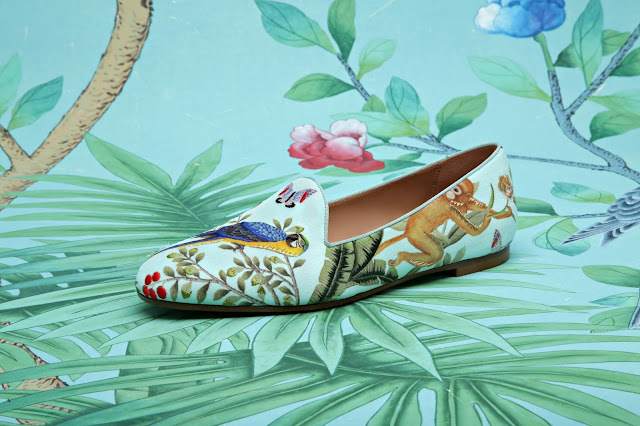 The Italian shoe designer was inspired to create the custom tropical Chinoiserie collection, Amazonia, after de Gournay installed wallpaper in his Florence apartment, he says. 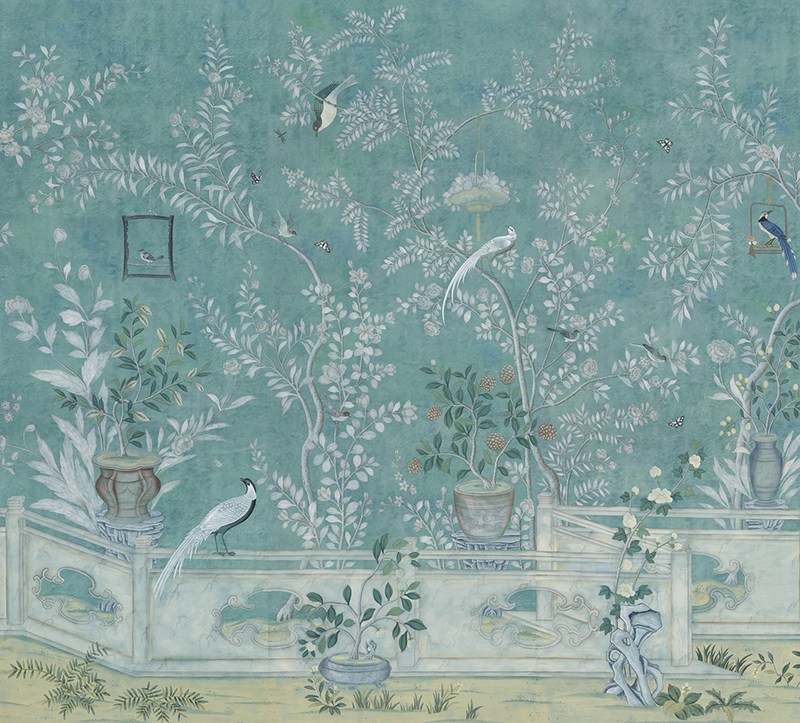 Osorio isn’t the only fashion guru captivated by de Gournay. 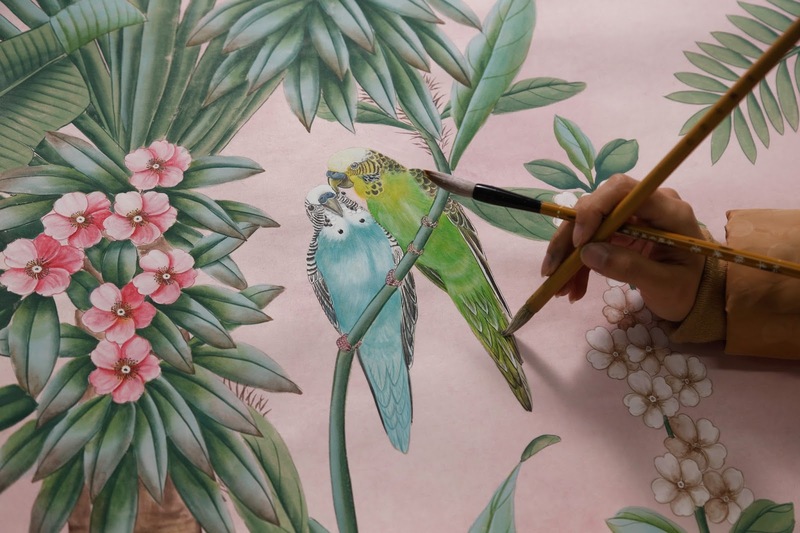 When luxury online retailer Moda Operandi, which opened its first by appointment showroom in New York earlier this year, decorated its new space with de Gournay’s Earlham and Plum Blossom panels, it decided to make something wearable to match: Silk dressing gowns in those same de Gournay motifs. 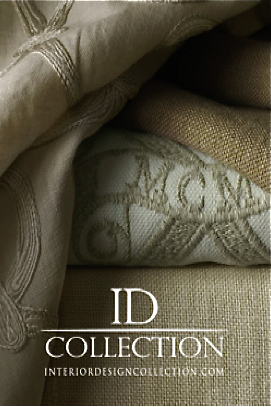 First intended to be worn by Moda’s elite clientele between changes while trying on clothing at the showroom, the robes are now for sale in a limited edition of custom colors for $1,995, through Moda Operandi’s New York and London showrooms, and online at modaoperandi.com. 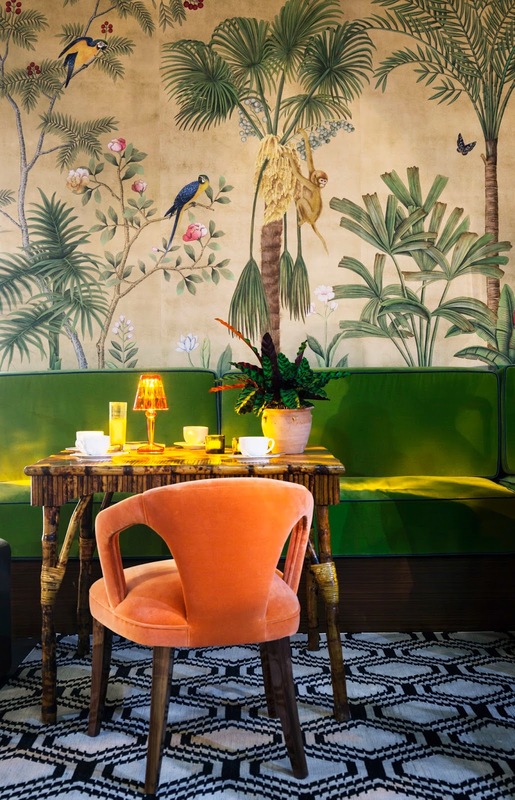 Despite all the new, nothing speaks to de Gournay’s iconic look more than the antique-green Chinoiserie wallpaper found in Baroness Pauline de Rothschild’s Paris apartment, as photographed in 1969 by Horst P. Horst for Vogue. 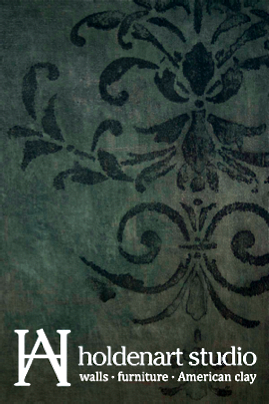 De Rothschild died in 1988 and the original panels have been lost since 1990, when they were last seen for sale at an antiques store in Paris. As part of de Gournay’s extensive research into its historic wallpaper installations, those rare-air panels have been recreated. 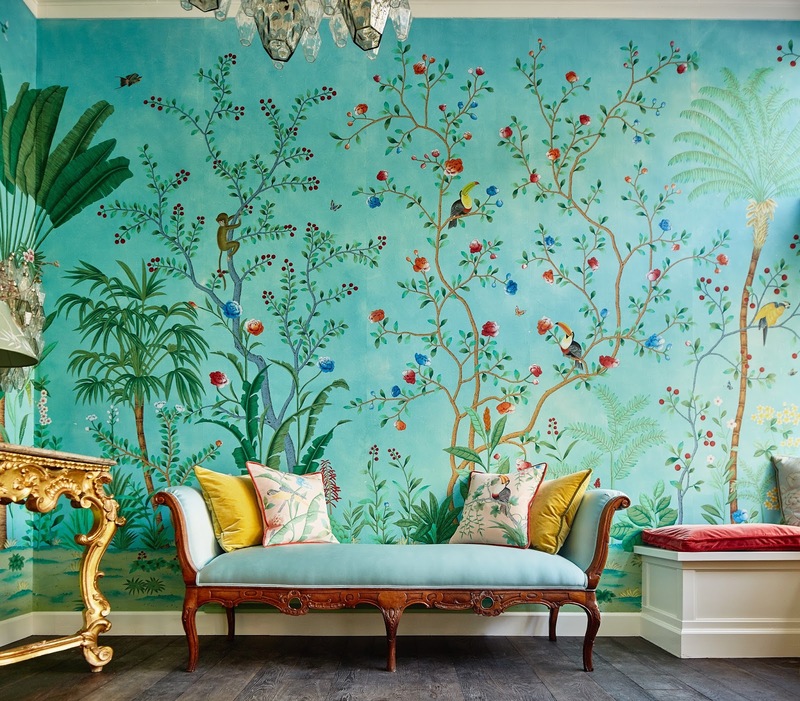 Enter: The newest addition to the de Gournay library, Salon Vert, which references the dreamy, faded gardens depicted on the 18th-century wallpaper panels found in de Rothschild’s grand, private abode on Rue Méchain. Pheasants, sparrows, parakeets, magpies, and butterflies flutter amid foliage and flowers, set against a muted-green background. 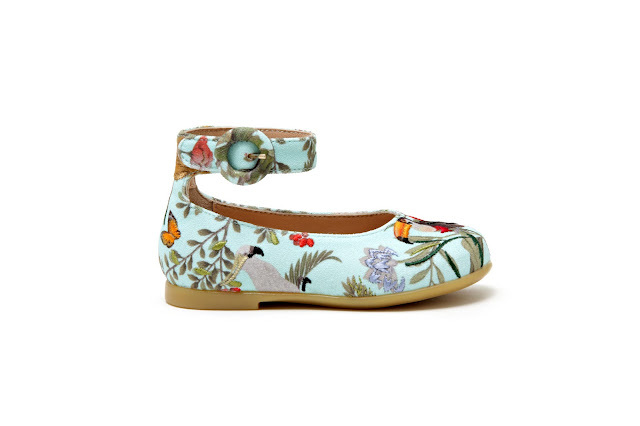 It’s Eden in the grandest sense.